From acclaimed author Dinaw Mengestu, a recipient of the National Book Foundation’s 5 Under 35 award, The New Yorker’s 20 Under 40 award, and a 2012 MacArthur Foundation genius grant, comes an unforgettable love story about a searing affair between an American woman and an African man in 1970s America and an unflinching novel about the fragmentation of lives that straddle countries and histories. 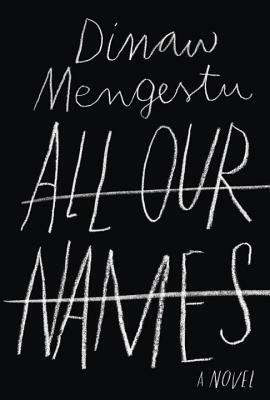 Elegiac, blazing with insights about the physical and emotional geographies that circumscribe our lives, All Our Names is a marvel of vision and tonal command. Writing within the grand tradition of Naipul, Greene, and Achebe, Mengestu gives us a political novel that is also a transfixing portrait of love and grace, of self-determination and the names we are given and the names we earn. Dinaw Mengestu is the award-winning author of two novels, "The Beautiful Things That Heaven Bears" (2007) and "How to Read the Air" (2010). He is a graduate of Georgetown University and of Columbia University s M.F.A. program in fiction and the recipient of a 5 Under 35 award from the National Book Foundation and a 20 Under 40 award from "The New Yorker." His journalism and fiction have appeared in such publications as "Harper s Magazine, Granta, Rolling Stone, The New Yorker, " and "The" "Wall Street Journal." He is a recipient of a 2012 MacArthur Foundation genius grant and currently lives in New York City.